When selling on eBay from multiple sources, the policies might vary between each and every source. 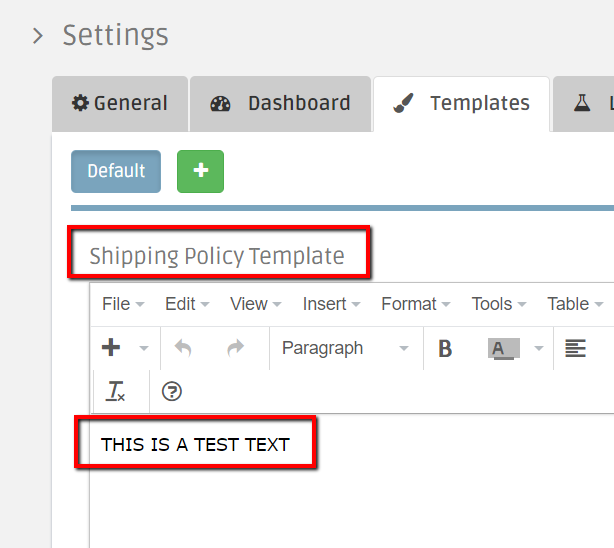 Therefore in DSM we allow you to set different policies text for your templates per source and implement them into your eBay template simply by locating a place holder where you want the policy text to appear. Go to account settings -> templates. This section will give you the option to have control over the policies content in the listings templates, to edit the policies and to set up a unique ones for each supplier. You will find in the templates tab 3 policies - shipping, return and payment. Simply edit the content of each policy and click “Update” to save. Then choose the supplier you wish to add from the drop down list and click “Add”. You will then see the supplier added to the top, you can switch between them to edit its’ policies. After editing the content make sure to click “Update”. 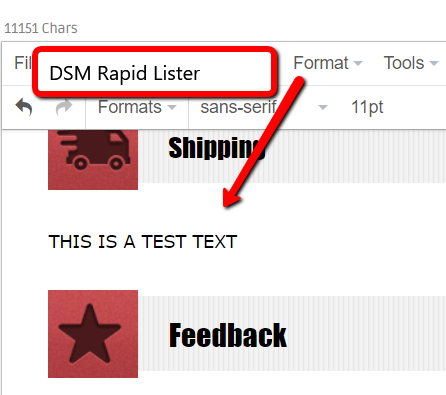 To add the policies content to the used or default template, Paste these placeholders into your template to inform DSM Rapid Lister where to locate the imported Data. Adding the place holders of any of the policies will simply inject the text you set up in your settings where you set the place holder. For example, if you paste the payment place holder which looks like that: [[PAYMENT]], the text in your settings for the payment policy will be injected to your eBay template once it's loaded into the Rapid Lister.